While taking my evening stroll I spotted this whitetail fawn feeding. 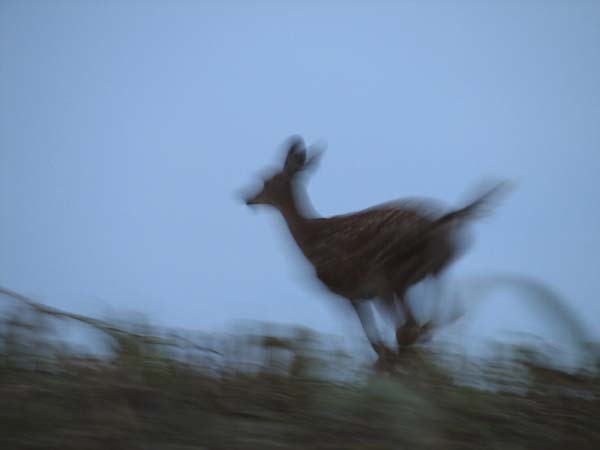 As I tried to approach her in the dim light she mistook me for another deer and began heading my way. I slowly got down on hands and knees and crawled to set up a skyline shot for when she came back into view. I also bleated like a deer to increase her interest level. As she came across the skyline I got some OK shots but when she realized she had been duped, the best shot materialized! We recently vacationed in Kiptopeke Va. Kiptopeke is a small town on Virginia’s lower eastern shore located near the northern end of the Chesapeake Bay Bridge Tunnel. We spent a few days there fishing and sightseeing on the lower Chesapeake. One of the many interesting features of this area is the breakwater located offshore of the Kiptopeke state park. 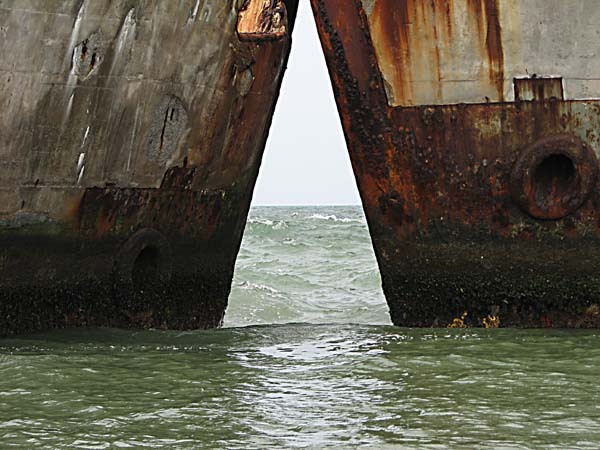 The breakwater was formed by sinking eight concrete ships near shore. The ships were built by the McCloskey and Company of Tampa Bay, Florida during the years of 1943 and 1944. 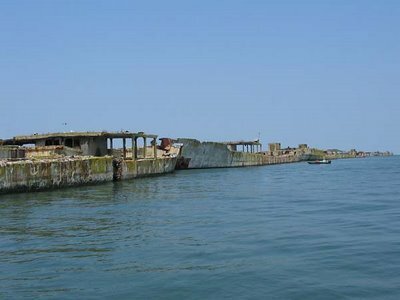 They were used as training and stores ships in the south pacific during WWII. They are in fact constructed of steel reinforced concrete. Their names are the S.S.William Foster Cowham, S.S. John Grant, S.S. Robert Whitman Lesley, S.S. Richard Kidder Meade, S.S. Willard A. Pollard, S.S. Willis A. Slater, S.S. Arthur Newell Talbot, S.S. Edwin Thatcher, and the S.S. Leonard Chase Wason. They were sunk in 1948 to form a breakwater for the northern terminus of the ferry which ran between Virginia Beach and the eastern shore. Upon completion of the Chesapeake Bay Bridge Tunnel the ferry closed and the grounds became Kiptopeke Beach State Park. A boat launch and fishing pier and campgrounds are now located at the site. In retrospect these ships only served as vessels for four to five years but have done service in their second life for fifty eight. 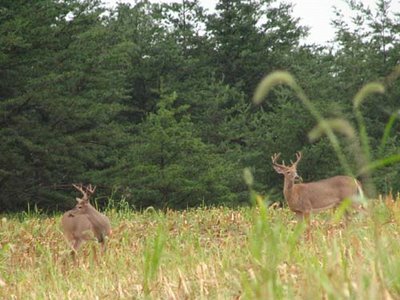 We have been fortunate to have a small bachelor group of Whitetail bucks spending their summer near our home. This has mostly consisted of two nice bucks of nearly the same rack size along with a couple of smaller bucks. The larger bucks have been seen frequently and have become known in the neighborhood as the twins. Today our neighboring farmer began cutting corn. This evening as I was taking my evening walk I encountered the twins. They were busy filling their stomachs with the corn that the harvester had missed, but as always they were always on guard for danger. 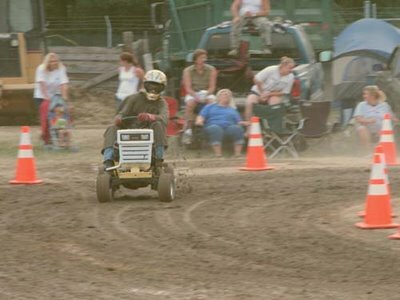 Move over Nascar, close you doors Daytona, we have a new sport in town! 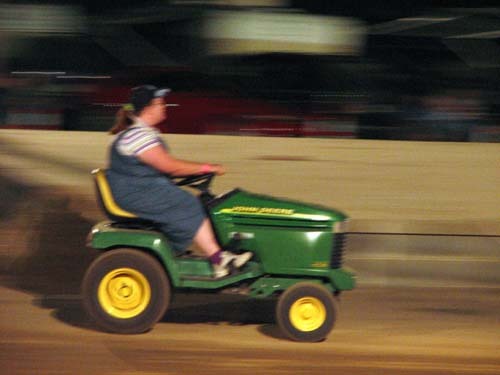 This new sport is more exciting than a gator toss! Mrs. Dawg and I attended our very first mower race last evening. What an excitement filled night. but neither did the announcer! The drivers had it together and man could they drive! This is Rednecking at its finest!!! 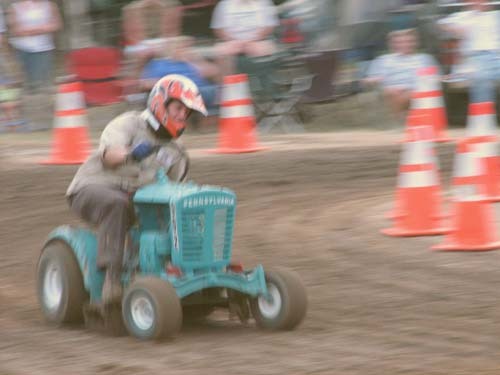 You just gotta see them little suckers mow! A special feature to our local race was the local Pastors Challenge. 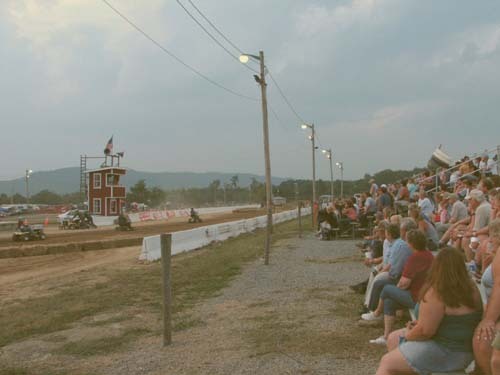 This race featured five of our local Pastors and one Pastor’s wife! It began with a meeting of the competing denominations. Now folks this race was a test of faith. our pastor or our PW. Now this was the ultimate challenge! 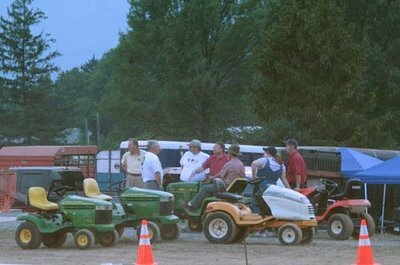 The race began, Pastors were jockeying for position, engines were roaring! 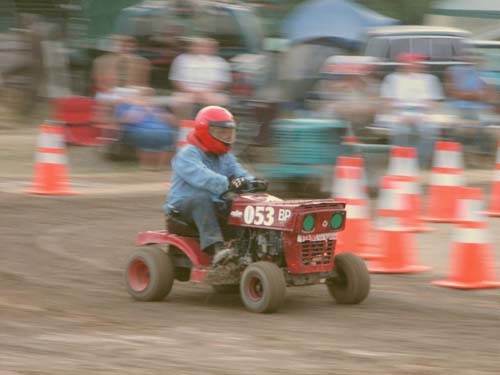 There was our PW moving up, cutting the turns close on all four wheels! 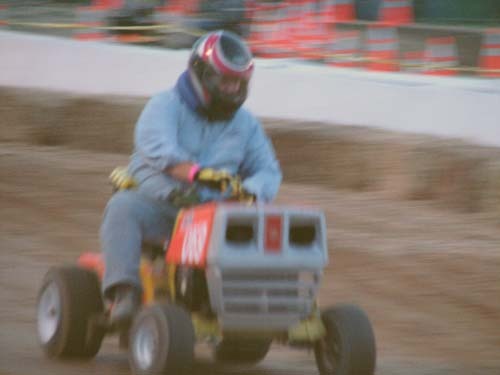 Roaring down the straight-aways, mowing past the pastors! Her faith never faltered, her faith never failed, it couldn’t! She has eternal security! She is our Baptist PW!! Move over Lutherans! Move over Methodist! Move over Baptist pastor! Husband! 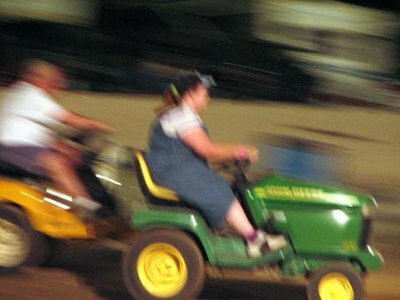 Move over or be MOWED OVER! This PW mowed a swath straight to the finish line! Amey Covert, Winner of the Pastors Challenge!! 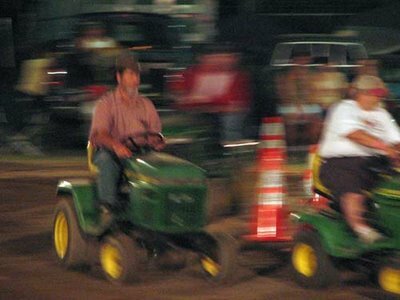 If you want a fun evening, if ya just wanna be a REDNECK for a little while, find a Sta-Bill National Lawnmower race near you and have a great time! The above photos are of the historic Cashtown Inn located near Gettysburg Pennsylvania. 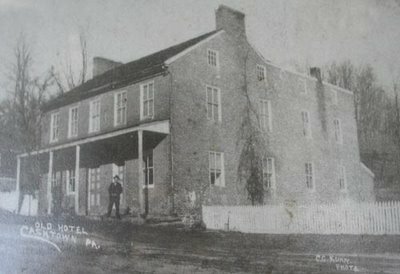 This inn was built in 1797 as a stagecoach stop between Chambersburg and Gettysburg Pennsylvania. Confederates troops passed by it on the way to the battle of Gettysburg. It served as the headquarters for Confederate General A. P. Hill directly preceding the battle. 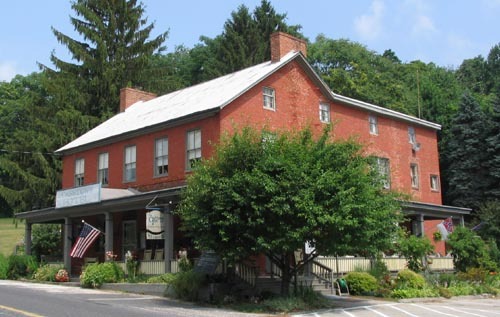 The inn is featured in a scene in the movie Gettysburg. The scene depicts Confederate troops passing it and cheering as General Lee rides by encouraging them on into the awaiting battle. Today the Cashtown in is an upscale bed and breakfast. The top photo circa 1895 is displayed on a historical plaque located in the parking lot. I found it interesting to observe the changes that have taken place in the 110 years that had passed between the two photographs. Above is a photograph of my Great-Great Grandfather. 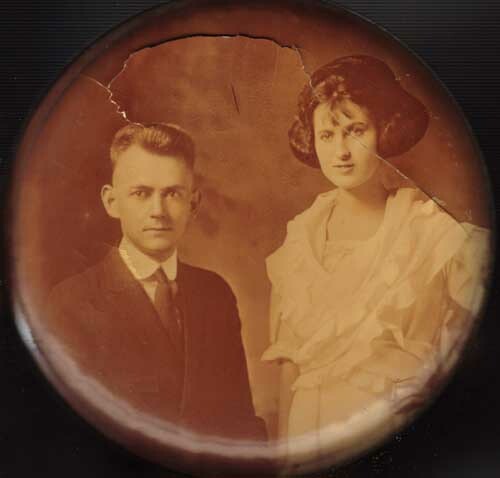 I recently had the privilege of acquiring it to scan from a distant relative. While looking at his likeness for the first time I began to muse about what his life was like. 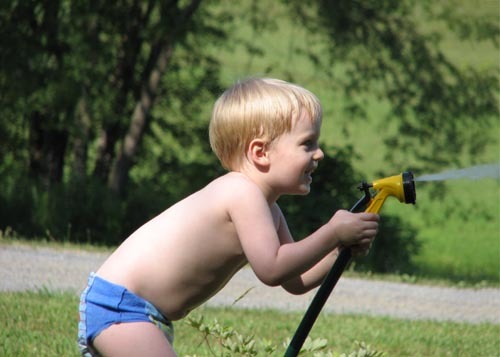 Great-Great Grandfather did not have many of the conveniences we now take for granted. He did not have a telephone, a computer, the internet, or even electricity. He did not have a radio, TV, CD, DVD, or movies. Plastic had not been invented. If he had an automobile it would have only been in the later years of his life. Great-Great Grandmother did not have a dishwasher, clothes washer, microwave oven, crock-pot, electric range or even a sealing bowl such as Tupperware. There was no Glad wrap for leftovers, no freezer or refrigerator. Ice was easy to come by in the winter but to have ice in the summer one would cut it in blocks during the winter, storing it in the icehouse insulated by the earth and sawdust. Most icehouses would not keep ice much past early July in our area. 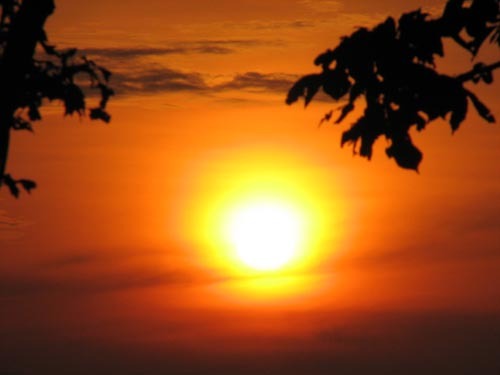 An ice-cold drink during the heat of August was not to be had. A trip into town was normally planned much in advance as the nearest town was ten miles away. Shopping would require a full day, as the travel time would take most of it. 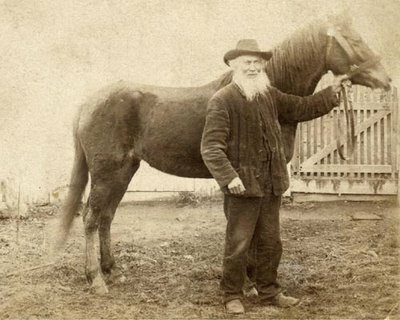 In this photograph G-G Grandfather is posing with his horse. This is much the same as a man today posing with his car. It was his transportation. The horse was also his farm tractor. I have found horses in many of the old family photos as they were a necessity, not a luxury at that time. I am confident that G-G Grandfather had no inkling that his likeness would one day be posted on the World Wide Web for all to see, for it would be many years before anyone would even conceive of a pocket calculator let alone a computer. Great-Great Grandfather also did not have monthly utility bills, auto insurance, homeowners insurance, health insurance, auto repairs, gasoline cost, credit card payments, or income tax. I am also confident that he did not miss any of these things as we do not miss those things that have not been invented yet. We do not miss that which we do not know of. 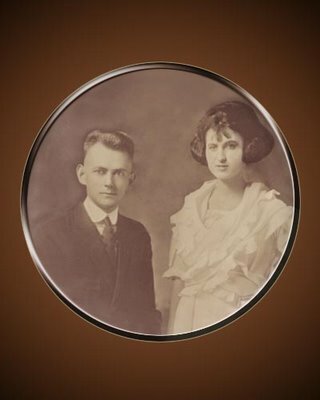 Great-Great Grandfather had a full life with a wife, nine children and a farm which provided them with their sustenance, occupation, and income. For those of you who haven't met him, this is Puppy, the youngest member of the Dawg family. Puppy has been away from home for a month now staying with family. I hope he has been having fun, but 'ole Salty has been missing his little fellar. This image was recorded during a spring trophy striped bass charter. Each spring I along with a group of my friends go on a catch and release pre-season charter in the Chesapeake Bay with Captain Hank. He has taught me most of what I know about catching stripers. On this particular day the weather forecast was far from favorable but to my surprise Hank did not cancel. Upon arrival and finding it to be completely calm I ask Hank what he knew about the bay that the weatherman did not. He stated they had SE winds forecast to become NW and when that happened the water would lay down for a while. He also said “it will blow up after while”. We had an excellent morning catching many nice stripers to 30lbs. Near 10:00 am it began to rain lightly. Another half hour of fishing and we noticed the sky becoming very dark to the north. Hank came back and told Greg ,the mate, to bring in the lines. All hands fell to the job as a fresh wind began blowing from the storm. Buy the time all lines were in the waves had built to three feet. As Hank began the run to port the wind steadily increased until very high waves were crashing over the roof of his boat. 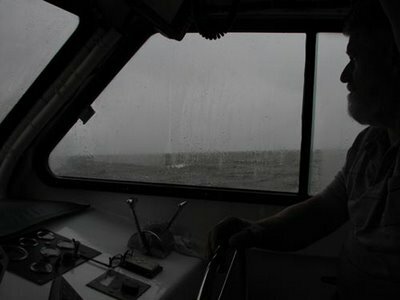 If I had been caught in this storm with my boat it would most likely have ended in disaster. With a steady hand Hank guided his vessel safely to dock. Just another day in the life of a Chesapeake Charter Captain.